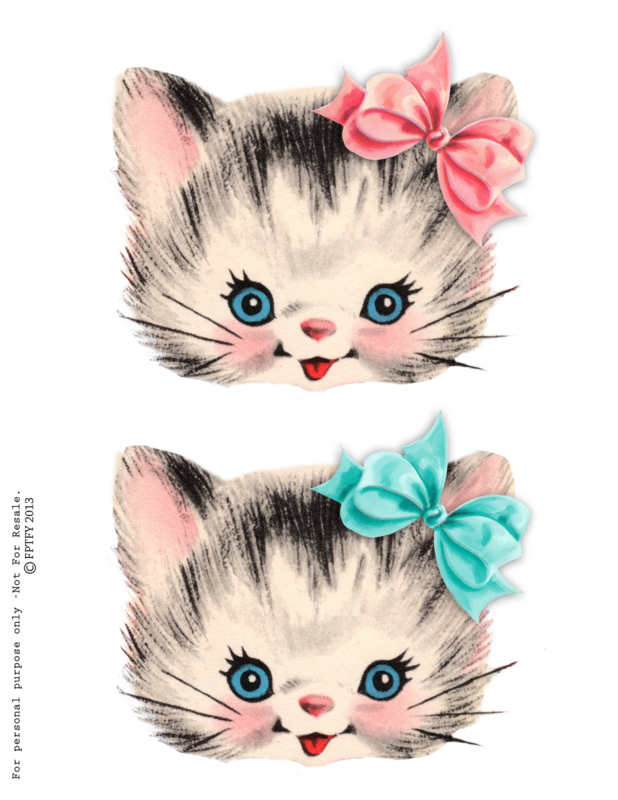 Adorably sweet Vintage Kitty Clip Art via Free Pretty Things For You! Upon seeing these kitties, I was in such delight. Aren't they simply precious?! If I do say so myself, they're oh so cute. Indeed, with all the more reason to charmingly embellish a plain and ordinary tee shirt. It turned out wonderfully! 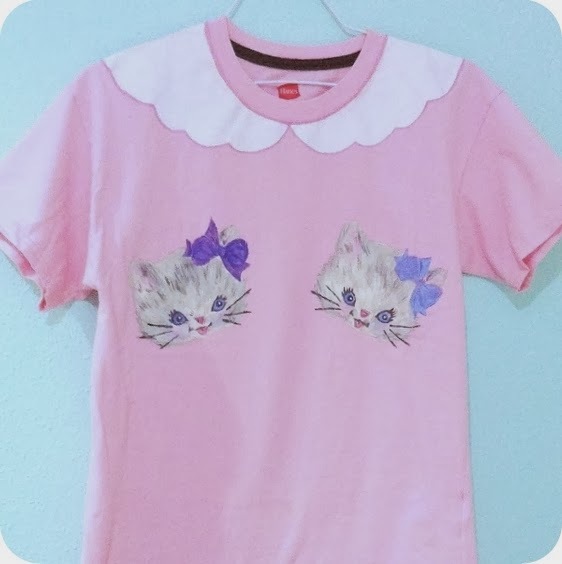 These kitties will surely lighten up the life of any cat fanatics. There are still many ways to go about doing it yourself. Of course, my method of choice is to make use of the materials on hand; that being, I happened to have fabric paint. 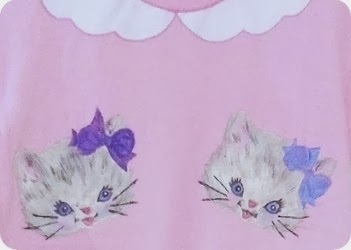 Alternatively I'd recommend using iron on transfer sheets, as it is an effortless way to embellishing fabric. Anyhow, with these kitties, any method is guaranteed to be lovely. Meow!